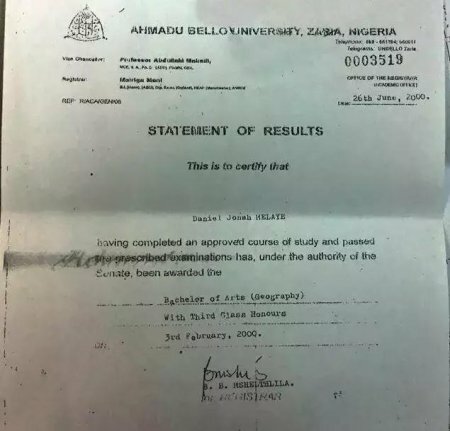 The statement of result, dated February 3, 2000; was signed by B.B. Mshelthlila and issued by the academic unit within the Office of the Registrar of Ahmadu Bello University (ABU), Zaria. However, the result is riddled with several inconsistencies which appear to deepen Melaye’s certificate forgery brouhaha. For instance, his name was given as “Daniel Jonah MELAYE.” However, inquiries by DAILYPOST on http://geography.abu.edu.ng/ revealed that Geography is in the Faculty of Physical Sciences and not the Faculty of Arts as reflected in the statement of results. He was issued an Advanced Diploma certificate in Law, Security and Conflict Resolution. He finished with ‘Lower Credit’ on August 3, 2006. However, in his Senior School Certificate purportedly bagged in 1992, which was distributed by Sahara reporters, his name read ‘Melaiye Daniel Jonah O.’ with Melaye being wrongly spelt. 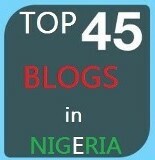 As at Friday evening, Wikipedia.org has edited Dino Melaye’s biography to capture and reflect the certificate mess. Watch live united states tv stations free online .